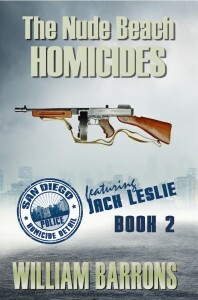 This is the gripping story of San Diego Police Homicide Team Three Sergeant Jack Leslie. He’s be-deviled trying to solve the mystery of someone repeatedly shooting out eyes and teeth with a .22 caliber gun! The weapon is ridiculously tiny for such murders. Leslie falls head over heels in love with a ravishing redhead and admires her twelve year old daughter who is an aspiring actress. Could it be their friend who’s committing these gruesome murders? 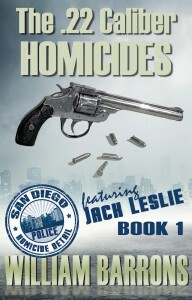 Third novel in his series about the San Diego Police Homicide Detail and featuring Detective Paddy O’Dean. 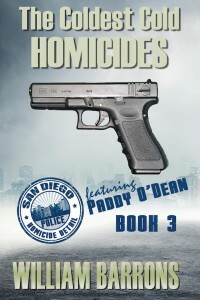 Unusually young and ambitious Police Officer Patrick O’Dean becomes a Detective on Homicide Team Three. He hopes to follow in his murdered father’s footsteps. At first he is remarkably successful in solving the cases given him. 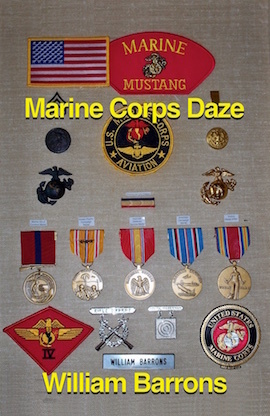 But then, he handed the toughest file of the Departments Cold Cases, and this one not only involves many murders, but auto thefts and brutal robberies as well! 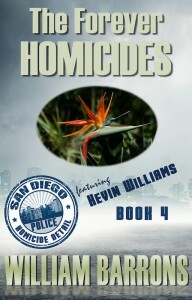 This is the fourth novel in his series about the San Diego Police Homicide Detail and featuring Sergeant Kevin Williams. Detective Williams finds out that some people murder to save the victim, some people who murder believe they can do a better job than others, but most murderers do it simply for greed and anger. 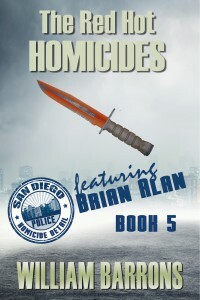 This is Book 5 in Bill Barrons’ Police Procedural series about the San Diego Police Homicide Detail and featuring Brian Alan. 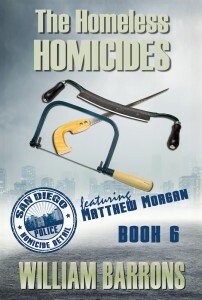 Detective Alan faces the worst possible scenario that a homicide detective can face, a serial killer who won’t be found. Detective Alan plants himself firmly on the tail of this vicious killer but is alluded by the wiles of a killer who takes many lives. 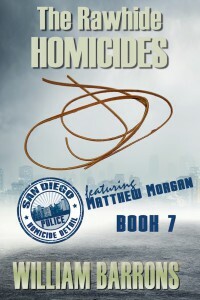 Newly appointed Homicide Detective Matt Morgan faces a string of killings of some of the most vulnerable of our citizens, the homeless on the streets. His wile and tenacity take him to the darkest corners of San Diego as well as the darkest of perpetrators. Lieutenant Matthew Morgan is mourning his beautiful wife and the mother of his son when he is asked to solve a double murder. The prime suspect is a ravishing blonde, the brother of one of the victims and worse yet, someone for whom Matt is falling madly in love. Surrounded by new and old friends and exploring her new relationship with the handsome Ryan O’Shea, London Crane has begun to settle into her role as Queen of Artasia. London thinks her life can’t get any better. Unbeknownst to the council however, the evil Brawlia Dash has learned of the Power Stones’ discovery and is determined to get them for herself. The council has long held hope that one of her followers would turn on her and end her reign of terror, but could one of their own be spying on them for Brawlia? The reappearance of someone the council believed to be dead brings them the surprise of their lives and London and her friends soon learn that not even the Power Stones can make them invincible.